Home › Childhood Memories › The chain with two ends. 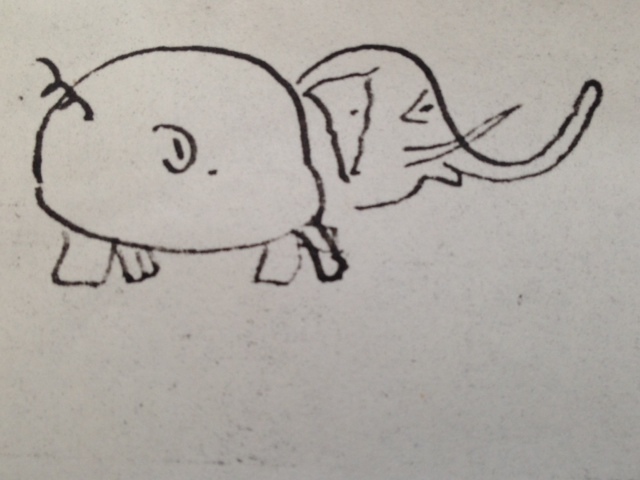 I’m not altogether certain where my deep love for elephants stems from, but if I had to hazard a guess I’d say it has something to do with the fact that in every card, every love letter written by my father to my mother, he drew this little elephant in the bottom corner. The D was for Derek. And even though Derek wasn’t much of an artist, he certainly made up for this in his beautifully written love letters: “I know dearest one, you realize that the theme of our song ’til the end of time,’ is to me something as real and perpetual as a monument-it stands as my love for you, as ageless as the sphinx and older.” In my child’s mind, I guess I connected the visual and the written. Elephants=Love. And as an adult my love for elephants has only grown. Continuing in the spirit of this tradition, my daughter, my sister, and I all have the same elephant tattoo connecting us all to each other, and to my mother and father who have now passed on. The elephant is now a very part of our skin. A connection to our past. For me, this ageless symbol of my father’s love has become so much more, though. While I love all animals, elephants are my thing. I have adopted a baby named Napoki from The David Sheldrick Wildlife Trust, in Kenya, and I contribute monthly to the Hohenwald Elephant Sanctuary in Tennessee, USA. Like most sanctuaries of their kind, these shelters seek to save elephants from the hands of poachers, environmental destruction, and straight out human cruelty. Greed and human cruelty have been at the heart of one recent news and media story involving an elephant named Sunder, who was captured at a young age from the jungles of Bihar, India. Sunder was removed from her family while young, and sent to the Jyotiba Temple (at the behest of politican Vinay Kore)where he was forced into a cruel life of street begging. Locked into spiked shackles that hindered his movement, Sunder’s life was filled with abuse & neglect at the hands of his mahouts. But at long last, after a valiant two-year campaign, aided by celebrity help, countless government meetings, online appeals, and High Court and Supreme Court cases, Sunder has been released to his new home– a 49.5 hectare forested elephant care centre in Bangalore, where Sunder will have the company of 13 other elephants. Sunder, despite all of these years of torture and abuse is one of the lucky ones, though. In the 1930s there still existed 5-10 million African elephants; nonetheless, according to the 2007 African Elephant Status Report, there were only 550,000 elephants remaining in Africa. In the last 7 years those numbers have tumbled, and the Asian elephant population is now less than 40,000. Unfathomable, really. Unfathomable that humanity has pushed elephants to the brink of extinction in under a century. I firmly believe the same holds true of any form of enslavement, whether of human or animal. As long as we continue these barbaric acts against elephants and other animals, whether it be for the entertainment of children in the form of circuses, or poaching for profit, or environmental destruction in the name of progress, we are all securely bound by the two-ended chain: we are neither free, nor human. ‹ Caring enough to write. Yes, yes, my friend. This barbaric behavior has got to stop! 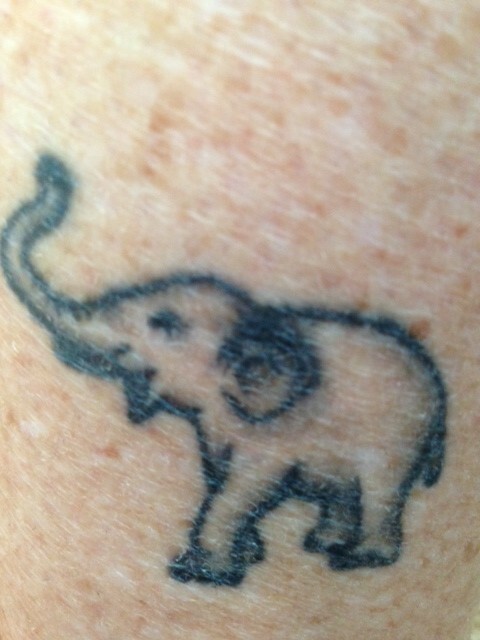 My grandmother loved elephants. Sorry it has taken me so long to get to this post. We were without internet for two weeks, and then I was in the US–yadda, yadda, yadda.